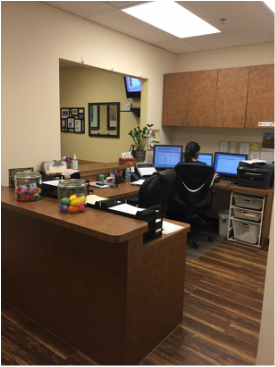 Welcome to the office of Dr. Elizabeth Goldman! 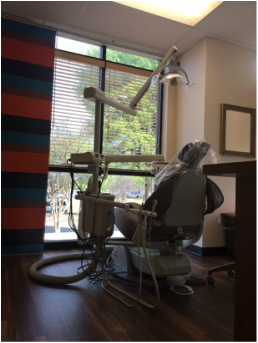 Please drop by anytime to meet Dr. Goldman and her friendly staff, Norma and Noemi. 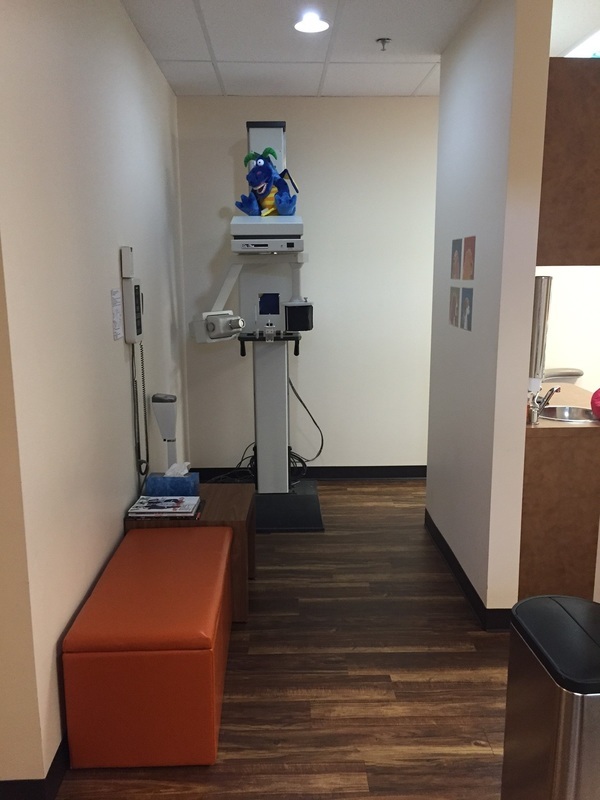 We've recently done some updating to the office, and we're eager to show you around. 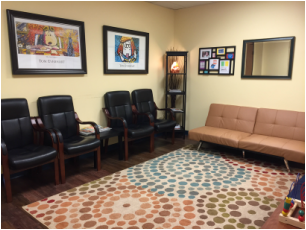 Waiting area -- our goal is to keep your waiting time to a minimum! 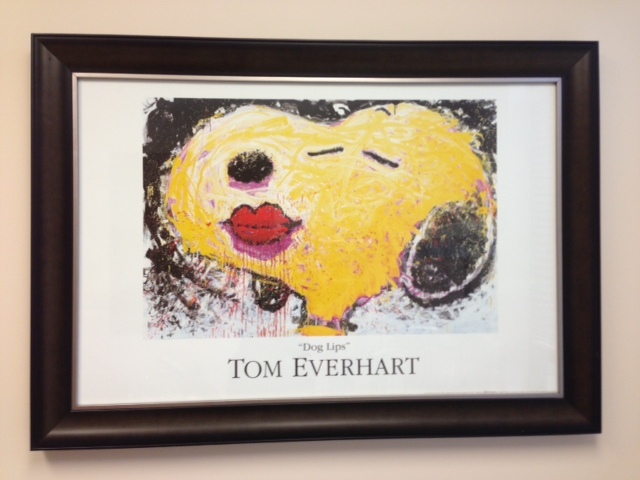 Office features Tom Everhart paintings of characters from "Peanuts." 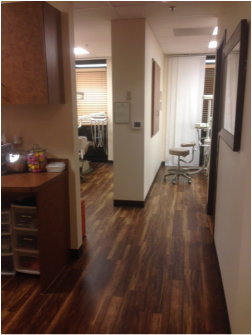 Light and bright operatory #1. 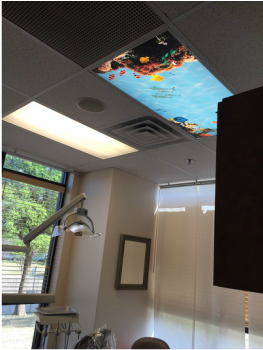 Patients enjoy looking up at the fish while they're in the dental chair. 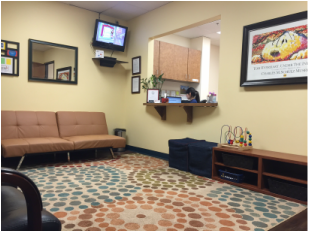 Parents are welcome to wait in the waiting room, on the orange bench (can see dental chairs easily), or in the room with the child. 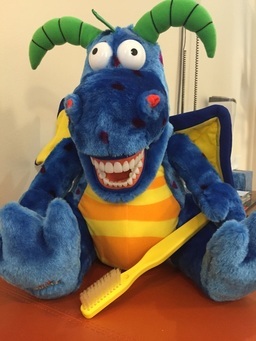 Our office mascot loves having his teeth counted and brushed!